Diamond pearl earrings actually make wonderful gifts for every occasion but we know that many mothers tire of flowers and chocolates and would adore these lasting shows of love and affection from their families! We’ve added in a new range of diamond pearl earrings because we’ve noticed an increased trend for graceful, classic earrings with some sparkle. Made in our lovely Somerset workshop, we can advice you on the size and shape of the pearls you are considering. If you live locally, make an appointment to visit our workshop. Generally speaking, younger ladies prefer smaller pearls. 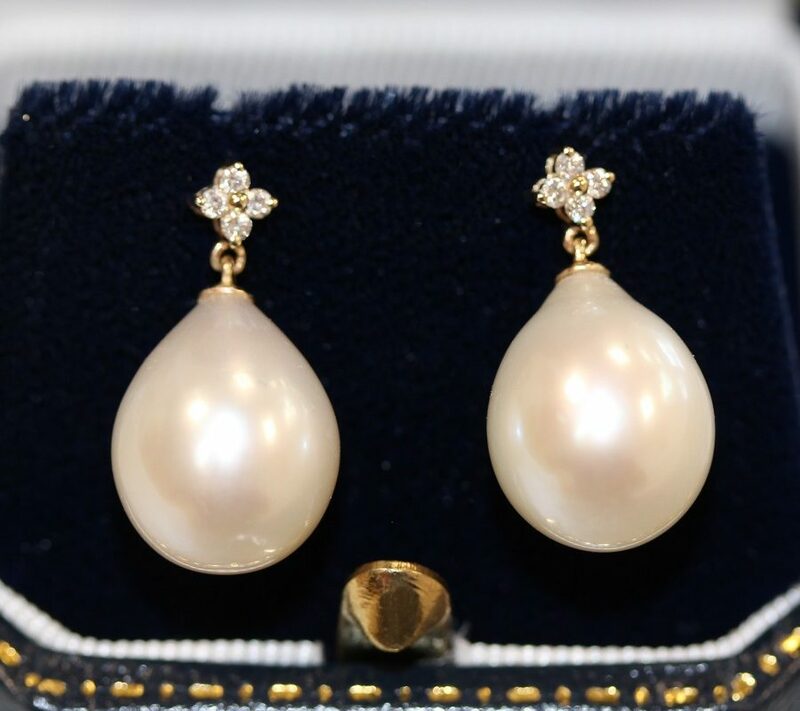 It takes some confidence to carry off a large statement pair of pearl and diamond earrings like the ones pictured below!